ToXic is our main man on our farm. He is sweet and the farm jokester , always doing something odd. We have hopes of getting him into show doing sport horse in hand and undersaddle. But at this time he has not been shown. His sire has been exported to France and has been shown in hand, many of the horses in his lines have gone off to do endurance. SCIDS, CA, and LFS Clear. How is he purebred and have color? The many lines of "sabino" (especially in Arabians) are in fact now known to be White Spotting (w3, w15, w19 and w20) carriers. 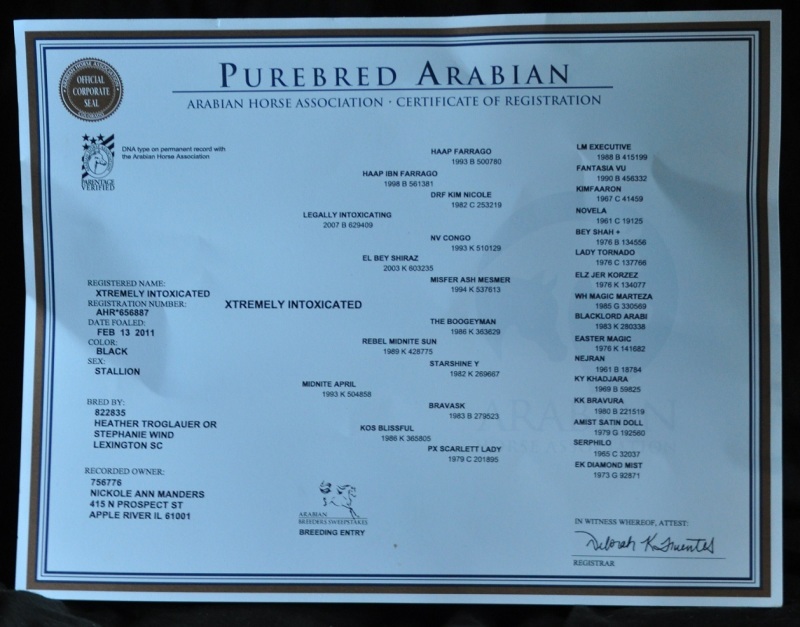 R Khasper was the first Arabian to be tested with a W gene. He was Born solid White from two solid Bay parents. the fact they were finding other W genes that did not have a max white expression. 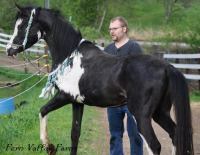 The Pinto like markings were always in Arabians it just wasnt until DNA and blood work started being done to prove that they were indeed purebreds. When the Arabians were being born with more white than normal they were not getting their papers and sold as grade horses or put down. Thanks to Blood Work and DNA that is no longer happening! Purebred Arabians can also have blue eyes. Toxic has been proven himself with outstanding foals.